Tools for Loving your Life by Tapping into Your Multiple Brains. Enjoy every day, knowing you can start again. Have you had enough of self sabotage, setbacks and slowdowns? You might find that the solution is deeper than the actions you take and don’t take. Yes, in case you have not heart, you have multiple brains. You have a brain in your heart and your gut that communicate with your brain in your head. All three brains converse and inform one another. When your head, heart and gut are in a balanced healthy state they are in alignment. So what does this have to do with getting past what keeps you stuck? Most likely, if you’re stuck, you are letting one brain dominate the conversation, or you are not conversing with all three brains. Or in a given situation, you could be using the wrong brain to make your decision. Have you ever felt misaligned when you are working towards a goal? This happens when you are working hard to accomplish something and you know there’s something not working and you can’t quite put your finger on it. It may be your intuition trying to tell you to avoid something (enter the gut brain), it may be your heart is not quite ‘into’ it (heart and desire are connected), or it may be your head brain is just not seeing the possibilities (the highest expression of the head brain is creativity). To get unstuck, you need to get full engagement of each of your multiple brains. This is where the ease, creativity and flow are possible. 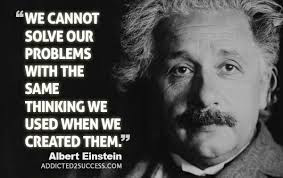 If we try to solve a problem at the same level that we created it, we won’t get anywhere. In some cases we are stuck in the head (brain). I invite you to have a one-on-one conversation with me. I will help you uncover what it takes for you to go from being stuck to moving forward. Are you ready to be productive and motivated, courageous? This conversation can be life-altering. As a Certified Professional mBIT (mutliple brain integration technique) Coach, I am qualified to help you get motivated to go after what you truly desire. Are you open? Do you want to get to the next level of reaching your potential? If yes, then schedule an appointment to talk with me. Our results come from how we see the world. The filters that are in place have been put there by people and institutions that mean well but your needs and desires have changed and these filters no longer serve you. It is possible to start with a clear lens. Mindset Hacks for Making Every Day a Great Day.